Robert ponders whether to learn to be big or accept that you’d rather stay small. In the news, Facebook launches YouTube competitor Watch, while Netflix begins a buying spree for content brands. Meanwhile, Disney decides to pull its films off Netflix, and Google may still buy Snap. We dive into discussions on how Quartz is delivering real results for branded content and why email subscription has never been more important. Rants and raves include Deadpool and Time Inc.; then we wrap up the show with an example of the week on J. Walter Thompson. (00:25): Robert muses on this week’s theme: Do you know how to be big? 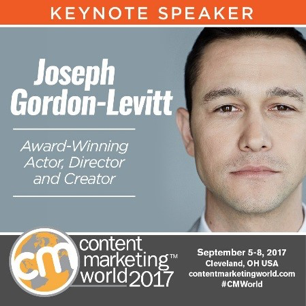 (10:00): Content Marketing World 2017 – The largest content marketing event in the world will return to Cleveland on September 5–8, with closing keynoter Joseph Gordon-Levitt. Register today, and don’t forget to use coupon code PNR100 to save $100 on the cost of registration. (43:12): Robert’s rave No. 1: This story made Robert’s heart sing, as it speaks directly to two of his favorite topics: audiences and pets. According to Digiday, Time Inc. has launched a new subscription service, PetHero – the company’s first venture under a new business model that focuses on mining audience data to uncover revenue opportunities that go beyond ad-supported content. (47:06): Robert’s rave No. 2: Robert also offered some brief but glowing praise for Howard Rauch, whose new book, Get Serious About Editorial Management, should be considered the owner’s manual for successfully operating and maintaining a content marketing program. (Source: Folio). (49:38): Joe’s rave: I wanted to send a shout-out to our good friend Robert Sacks, founder of the BoSacks daily news digest, for his thoughtful missive on the hateful events that took place last weekend in his hometown of Charlottesville, Virginia. While content marketing and political issues can make for strange bedfellows, I admire his courage in sharing his feelings. (52:10): Joe’s commentary: I recently noticed that my youngest son, a long-time fan of the comic Deadpool, seemed to have abandoned his interest in the character of late. 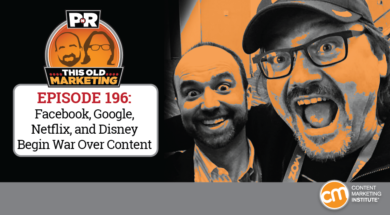 When he expressed his frustration that the character had been toned down to appeal to a broader audience, it brought to mind the unintended consequences that can be involved when you try to scale content marketing success. 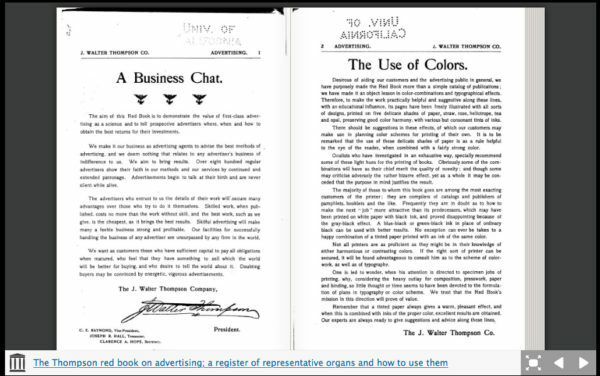 (58:10): J. Walter Thompson: First hired as a bookkeeper for the Carlton & Smith ad agency, James Walter Thompson (JWT) quickly discovered that his true talent was for soliciting ad sales for publications. In fact, his skills were in such high demand that by 1889 JWT was responsible for placing 80% of advertising in the U.S.; 10 years later, his agency became the first in America to expand internationally. Through the years, the milestones just kept coming; but among its most notable content-related accomplishments were the JWT Blue and Red books (a copy of the Red Book is seen here), which the company published from about 1897 to 1912. Produced annually, the books featured educational content that helped teach business owners how to better handle the advertising process, as well as a complete directory on every ad-supported publication in the U.S., including their circulation numbers, demographics, and ad rates. 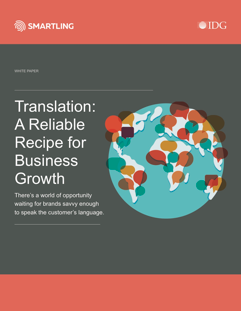 By creating these comprehensive resources that promoted and advanced the concept of advertising while establishing JWT as a key thought leader in its practice, the man and his agency cemented their place in the This Old Marketing annals of advertising and content marketing history, simultaneously.